The students of Interior Design played audience to the Professional Insightful Sharing Session 2018 (P.I.S.S. ), hosted by Dr. Eric Leong and featuring the invited speaker, Theo Loi Fui Teng – Senior Interior Designer at DS Design Studio in Shanghai. 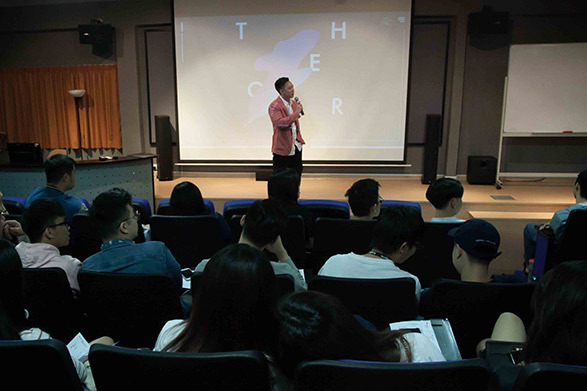 Theo, who is an Interior Architecture & Design graduate of 2014, shared his journey from studying to working and insights into the industry, as a senior and to impart inspiration to soon-to-graduate juniors. He had three years of Accountancy background before deciding that it wasn’t for him. He still liked the creative side and wanted to pursue design. Therefore, he enrolled at The One Academy and said that it was the best next three years of his life, making Dr. Eric and the teaching staff in the audience feel motivated and appreciated. He had no qualms about the time wasted in changing courses, saying that everyone has their own journey and story, and it is never too late to do something you want. Prior to working as a designer, he had already started branding himself early on, sharing that it is very important for every designer to brand and showcase themselves. Personal branding requires a good upkeep of appearance and attitude because it reflects on the designer and how they carry themselves. “Excite the industry, inspire the next generation,” is the motto which he upholds till today, in his aim to always come up with something that excites the clients, consumers and stimulate the whole industry. To him, design is all about sharing his work, ideas and concepts, that leads to inspiring the next generation. “The more you see, the more you know. Because knowledge is more than what you see in reference books and on the internet,” he said about his interest in travelling, but insisted that one does not necessarily need to travel far to get inspired. He suggested to take pictures of details that one might find interesting. He also loves sketching, and asserts that sketching is a raw form of expression that comes from the designer’s heart, mind and hand. As a designer, it is of utmost importance to make the visuals beautiful and come to life. To achieve that, one needs to have experience and a deep understanding of materials. The best way to design a great space is to study the client’s product and work the environment to suit it, because a store’s design is as important as the products in it. His vision when it comes to design, is to revisit ideas and trends because design today sees more and more past trends revisiting – citing an example of Terrazo tiles. 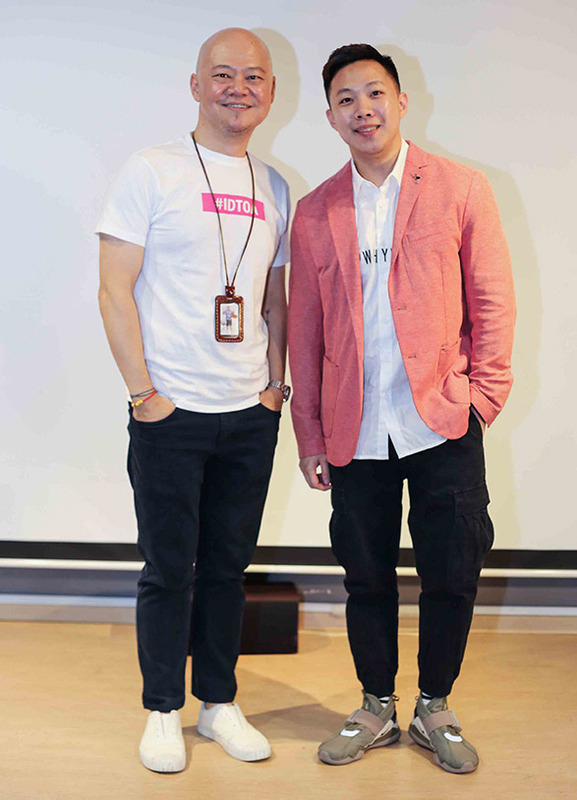 Some of his projects include developing the Suning Mall train station entrance, F&B interior design for the Instagram-worthy Grosfairy cupcake and popular Dong Lai Shun Hot Pot Restaurant, rebranding and bringing Australia’s popular smoothie and juice brand Feeling Fruity to Shanghai, and designing an entire store for ZOWOO - a wood workshop brand founded in Shanghai. “Do more, do it better. Fail, fail better,” is another motto of his, explaining that the more one does, the better they get, and to keep trying until they find the way.